Are you in the wilderness, either metaphorically or literally? Small town and rural pastors can relate in unique ways to Scripture, especially in passages referring to wilderness and solitude. Chances are, if you serve in a rural church you read certain passages with greater insight than those that live in more urban areas. God’s people and leaders have, over millennia, spent much time in the wilderness. 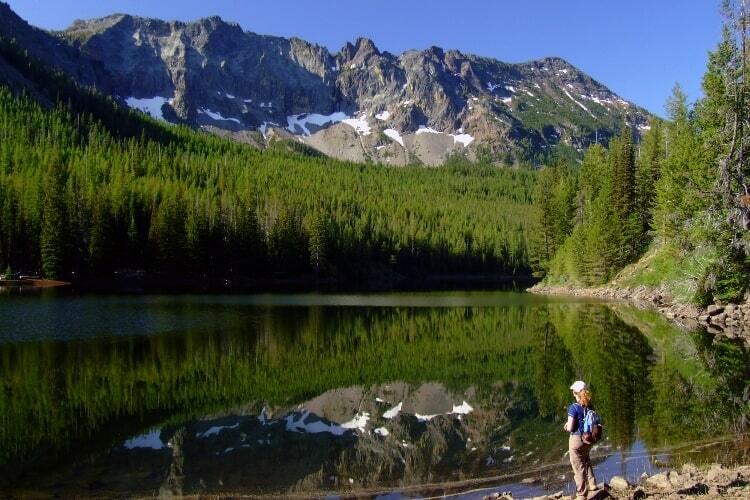 The connotation of the term “wilderness” may be positive for some, and negative for others. Moses meets Jethro (who’s name means “friend of God”) only after a wilderness journey. The prophets Nathan, Elisha, Elijah, and many others, heard most clearly from God in times of solitude and reflection while surrounded by nature. Jesus often retreated for times of personal reflection and spiritual nourishment. Countless early monks moved to rural locations (often the desert) in rejection of the excesses and paganism of their culture. Adam and Eve are cast out of the garden into unknown land that required toil and labor as a result of the fall. Israel wandered in wilderness for 40 years as punishment for not having faith at the time it was needed. Some of the same prophets that went to the wilderness to hear God were chased from cities where people wanted to kill them. Many lived in exile their entire lives for safety reasons, and not of their own choosing. While Jesus often retreated into the wilderness for fasting and rejuvenation, it’s also in the wilderness that he is tempted by Satan. So, if you pastor a rural church, perhaps literally in the wilderness, do you identify with wilderness in positive or negative ways? Many small town pastors struggle with a sense of isolation. Many also enjoy connecting with God in nature by being able to take advantage of outdoor sporting opportunities that come with rural living. If you pastor or serve in (or even attend) a rural church, in a sense God has called you to the wilderness. 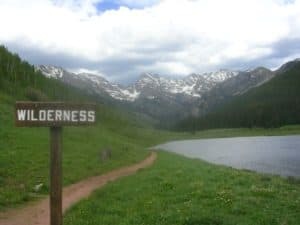 The wilderness of denominational life; the wilderness of fewer retail and entertainment options; the wilderness of living without quick access to top medical facilities; and the wilderness of open spaces, expansive pastures, deep woods, winding rivers and soaring mountain peaks. When you make pastoral visits do you get a little mud on the tires? Know that you’re not alone. It has been estimated that in the United Stated alone, there are over 150,000 rural and small town churches. To put that in perspective, there are 17,900 Roman Catholic Churches in the U.S. and roughly 50,000 Southern Baptist Churches. If small town churches were their own denominational network, they would be THREE TIMES the size of the largest denomination in the land. 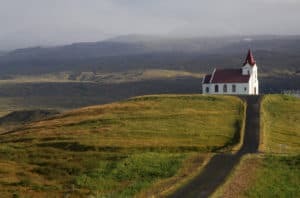 In our rural churches, what if the paradigm of ministry shifted from us relying on denominational models and resources designed primarily for urban and suburban churches, to embracing the unique realities of rural ministry, in all of its joy and complexity? Maybe if you’re in the wilderness, its because that’s where God has called you. Perhaps if you feel isolated you need to hear the still small voice, and also find a support network. How can you take advantage of where God has planted you in ministry so that ministering in the wilderness of modern culture is a joyful blessing instead of a burden? I hope to hear from you in the comments below! Thanks Jonathan for this article. I think it goes without saying that the small town rural church is the backbone of denominational life. The number of mega churches or large urban churches are minimal in comparison. An important aspect that you draw out is the wilderness that small town or rural pastors may feel at times. While we may feel alone, the reality is that we are not alone. I try to reserve Tuesday afternoons for my designated day to visit church members and shut ins. Yesterday I was able to visit five people, it took three hours to do so. I share this to illustrate your comment about the differences in the cultures, joys and complexities of a rural church.